WORST EXPERIENCE WITH THIS PHONE!!! I got this phone a year ago for rs.14000. The display was dead within 3 months of normal usage. I replaced the display panel with its servicing center. They took more than 3 months to replace it, experience with them was horrible. Again after 4 month of usage the display is dead and the warrenty is no more. The service center demands rs.8000 for a new display panel while currently the phone costs same . 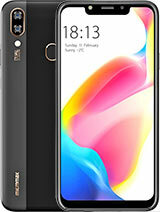 Well I had Just sold my trusted mate for 2 years my Moto Electrify XT 901 and wanted to use a GSM phone, and I found a Phone almost to my requirement. Well atleast it said do on paper. 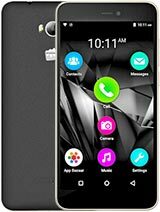 I bought the Phone Micromax Canvas Turbo A250 from flipkart on 28 March 2014 after seeing Hugh Jackman advertising for it. Well that the was the first mistake I made. Then within a week of buying the phone memory got full. and as Idiot I deleted most of the apps and kept on using it. 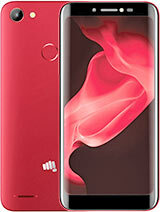 A month later the phone started hanging and heating and now I was stuck as the Flipkart guarantee was over. I took the phone to the service center. And they did magic to solve my problem they did a "factory reset", and gave the phone back to me. Being a total trusting person I took the phone, started using it. In the mean time I had to go to Mumbai for some work and I started the GPS and 3g both together for the first time and voila the battery lasted for a full 10 mins before dying on me(well to tell you the truth the phone was only 99% Charged when I came out of the hotel and started google maps and the best thing was it never got a fix.). 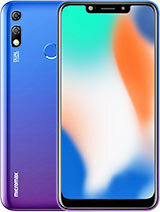 The phone was hot like a toaster and as you remember the service center had done there magical "Factory Reset" a few days back and the phone was having only the apps Micromax had given preinstalled. Now I was in Mumbai Without a phone. I came back and took the phone to the service center again and explained every thing in detail as to what had happened to me how the phone died on me. Again they did there MAGIC they did a "Factory Reset" wow what a service. I asked them to keep the phone for a day or two for testing but they told me that it's usual and sometimes some programs crash and can heat the device. Well The phone was back with me I tried to test the GPS as it could not get the fix in Mumbai I hooked it into my car charger and started google maps again on 3g. after about 30 mins the phone could not get a fix and the best thing was it was heating like hell. and then there was a thermal shutdown. This was my thisrd visit to the service center in 45 days, and all they did was MAGIC. The battery life of this phone was 1/4th of what my old phone with 3/4th battery it was having. well my old phone was giving a backup of a mere 2 days on a battery of 1500 mAh. and this Canvas Turbo was giving me a massive 5 hour backup on its 2000 mAh battery. And I knew that the service center will do its MAGIC again if I told them this so I got a 15,000 mAh battery pack to keep it alive. The problem of Installing apps was always there, so I used some basic apps and uninstalled Whatsapp, Truecaller, Telegram , etc to conserve this phone's app memory. Now after 8 months of service the battery backup went to 3 hours. In the meantime I had started doing the magic myself. Finally the year ended I headed over to XDA Developers and downloaded some Custom Roms Increased the app memory to 3 gb. The phone once in it's life worked for 8 hours at a stretch the heating issue disappeared. and the gps found a fix. Finally after one year I could use the phone and started to feel good about it. I was able to use whatsapp, Play games like Asphalt 8 without lugging my 15000 mAh battery. Now after 17 months of my purchase the phone died. and I took it to the service center again, and you know the there was MAGIC again the service center had disappeared. 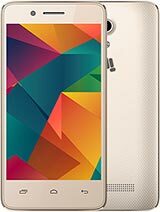 So again looking for a new phone Please Help. Anonymous, 03 Aug 2015Ugly Design in all canvasthis is not a comment..it's some other opinion by someone..
Frnds,i want to brought dis mobile,its gd cndition or bad condition i dnt knw.lets see at first buy this,then use then my cmnt doing post.